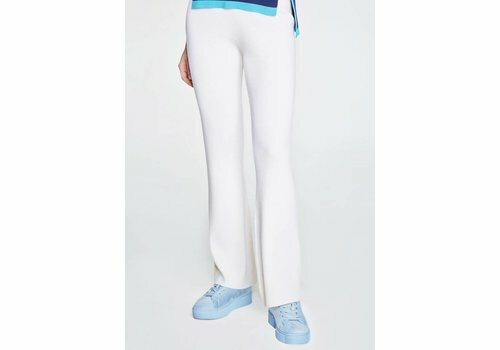 The felted cashmere side slit pant from Sally LaPointe in Ivory features a midrise waist and streamlined leg silhouette with side packets, side seam slits and a luxurious soft-hand. 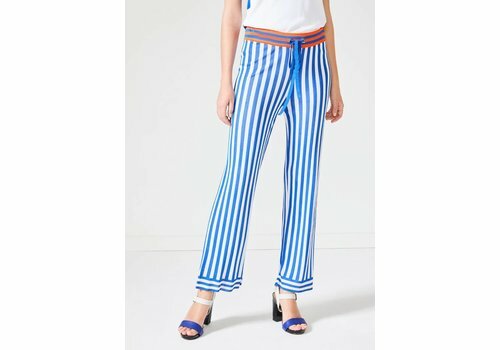 The Ivy Striped Pant from Knitss is a blue striped fine knit pant with a laced belt. 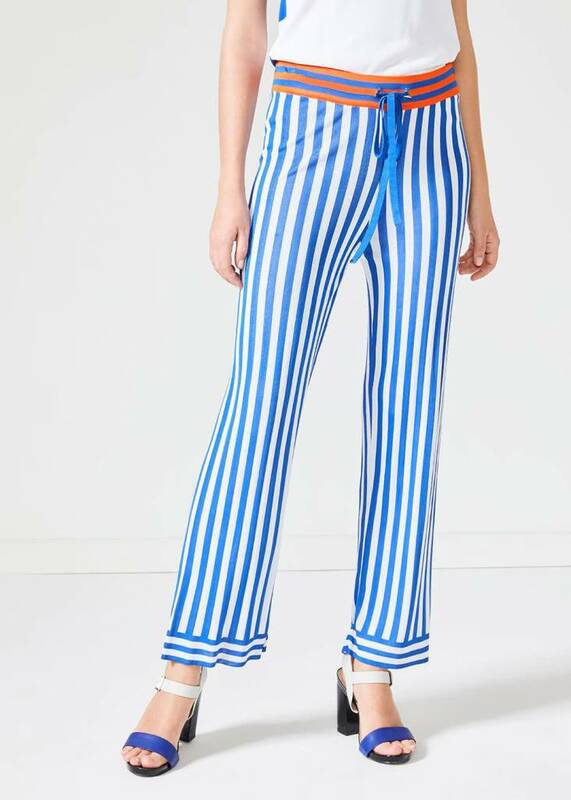 The Knitss' Vannes Pant is a wool knit rib pant that features a wide leg for a comfortable and luxurious fit.